"Anti-Semitism" may be the most abused term in Canada today. Almost entirely divorced from its dictionary definition -- "discrimination against or prejudice or hostility toward Jews" -- it is now primarily invoked to uphold Jewish/white privilege. Inward looking and affluent, the Jewish community is quick to claim victimhood. But, like an out of control child, the major Jewish organizations need to seriously reevaluate what they aim to represent in the public sphere. "Anti-Semitism" may be the most abused term in Canada today. Almost entirely divorced from its dictionary definition -- "discrimination against or prejudice or hostility toward Jews" -- it is now primarily invoked to uphold Jewish/white privilege. In a recent Canadian Jewish News interview long time l'Université du Québec à Montréal (UQAM) professor Julien Bauer slurs Arabs and Muslims as he bemoans "anti-Semitism." "In the corridors of UQAM, there are occasionally pro-Hamas demonstrations and anti-Semitic posters, but this is relatively rare," Bauer wrote in French. "At Concordia University, it's an anti-Semitic festival every day of the year! This is normal because there are many more Arab and Muslim students at Concordia than UQAM." The Jewish community's leading media outlet, which recently called Jews the "Chosen People", failed to question Bauer's racism and Islamophobia. Instead, they put his picture on the front of the Québec edition. Over the past several weeks Jewish leaders have labeled a student General Assembly at McGill University, art depicting Palestinian resistance at York and an effort at that university to divest from arms makers as "anti-Semitic". Head of the Friends of Simon Wiesenthal Center Avi Benlolo, described the arms divestment effort at York, since it includes Students Against Israeli Apartheid, as "a malicious campaign that targets and singles out the Jewish community as a collective, demonizes Israel and Israelis, applies unfair double standards to Israel at the exclusion of other nations in the Middle East and rejects the legitimacy of Israel as the only Jewish state in the world, thereby inciting an abhorrent resurgence of anti-Semitism." "Parliamentarians have uttered the words "anti-Semitism" and "anti-Semitic" more in the past decade than "racism" or "racist". (And many of the "racist" references describe purported prejudice against Jews.)" Rather than calming the tantrum, Canadian political leaders often contribute to the hysteria of certain Jewish groups. During the recent debate to condemn the Boycott, Divestment and Sanctions campaign MPs repeatedly accused a movement demanding Israel comply with international law of being "anti-Semitic". The terms "anti-Semitic" and "anti-Semitism" were invoked over 80 times in a debate to justify Jewish/white supremacy in the Middle East. According to Hansard, parliamentarians have uttered the words "anti-Semitism" and "anti-Semitic" more in the past decade than "racism" or "racist". (And many of the "racist" references describe purported prejudice against Jews.) The term "anti-blackness" was not recorded in the House of Commons during this period. Despite widespread discussion of "anti-Semitism", there is little discussion of Canadian Jewry's actual place in Canadian society. Among elite business, political and professional circles Jewish representation far surpasses their slim 1.3% of the Canadian population. Studies demonstrate that Canadian Jews are more likely than the general population to hold a bachelors degree, earn above $75,000, or be part of the billionaire class. While Canadian Jews faced discriminatory property, university and immigration restrictions into the 1950s, even the history of structural anti-Jewish prejudice should be put into proper context. Blacks, Japanese and other People of Colour (not to mention indigenous peoples) have been subjected to far worse structural racism and abuse. Even compared to some other "white" groups Canadian Jews have fared well. During World War I, 8,500 individuals from countries part of the Austro-Hungarian Empire (mostly Ukrainians) were interned while in the mid-1800s thousands of Irish died of typhus at an inspection and quarantine station on Grosse Ile in the Gulf of the St. Lawrence. Canadian Jewry hasn't faced any equivalent abuse. While howls of "anti-Semitism" are usually an effort to deter Palestinian solidarity, the shrill claims may also represent what a Freudian psychologist would call a "projection". Prejudice against Arabs and Muslims appears rampant in the Jewish community. Then there are the remarkable efforts to keep the Jewish community separate and apart from others. A Canadian Jewish News article about mixed race Jews' inability to find a match on the Jewish Tinder, JSwipe, highlights the issue. Montréal's Jewish community has segregated itself geographically as well. Without retail shops in its boundaries, Hampstead is an affluent Montréal suburb that is three quarters Jewish. Four times larger than the adjacent Hampstead, Côte Saint-Luc is a 32,000-person municipality that is two thirds Jewish. Inward looking and affluent, the Jewish community is quick to claim victimhood. But, like an out of control child, the major Jewish organizations need a timeout. 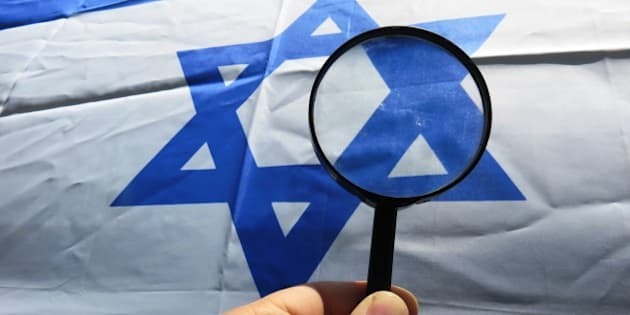 Without an intervention of some sort, the Jewish community risks having future dictionaries defining "anti-Semitism" as "a movement for justice and equality."